Researcher Richard Dolan, author of the superlative UFOs and the National Security State: Chronology Of A Coverup, 1941-1973, explains in the first part of this interview his take on the documented Government cover-up regarding UFOs. He also touches on the subject of nuclear proliferation, different races, crop circles, as well as a few other notable subjects. Calling this merely a great book would be an understatement. This particular well researched piece belongs in everyone’s library. It is as well rounded as it is incisive. Not having it would be a great disservice to those wishing to understand the current criminals in a plethora of positions powers such as politics, finance, banking, etc. whose ties lead back to some these nefarious roots. Literature, TV, and movies have always had among them cautionary tales of science and technology gone wild; whether it is the technology itself that takes on intelligence, or through the nefarious deeds of covert elite forces using technology to enslave the rest of humanity. Some researchers believe that the vast majority of these works have been a coordinated method of predictive programming that has been deliberately introduced to ensure that we are softened up for a reality that would at first seem inconceivable, but when later mirrored in the real world becomes easily accepted as the obvious evolution of an advanced society. The following short sci-fi film is not making any great leaps when it demonstrates a future of augmented reality through the (contact) lens of a computer app-driven interface. Augmented reality apps for the iPhone have been around for years, and continue to grow in popularity. Nor does the film below make an unbelievable jump in assuming that this future reality could be driven by a game-like incentive system; we can see that this is already an addictive pastime for countless millions of Facebook gamers through Zynga. The systems are in place, but as yet have been available only through external devices. All that has been needed to create an all-encompassing new reality is to integrate information into the first-person everyday human experiential view. 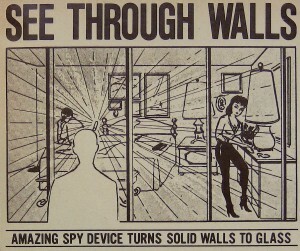 The actual principles behind a first-person, human-computer interface system have been around for many decades – it can be seen in combat zones around the world through the military Heads Up Display system (HUD). These principles, which began pre-WWII for fighter pilots, are now finding their way into the consumer market in video games, vehicles, and through info eyeglasses like Google X, which is supposed to be out by year’s end. 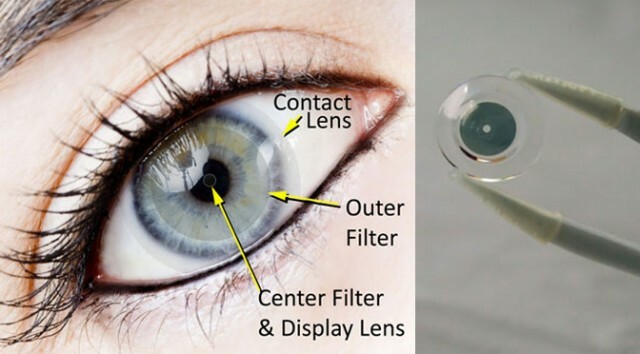 Contact lenses are the next logical step, and in fact are already in development by the Department of Defense through a system called iOptik – and projected to be available to consumers in 2014. As with nearly all computer interface and intelligence-driven systems, it is important to realize that these have generally been funded and implemented from the start by the military-industrial complex, and are likely to have been in existence for at least decades before trickling down to the consumer level. The Secret Space Program Conference was held on the 3rd of April 2011 in Amsterdam and boasted a lineup of many notable speakers. One of the many upper echelon reserachers that took part in this event was Richard Dolan, who in the year 2000 published a 500-page study named UFOs and the National Security State. This conference also featured Timothy Good, who has amounted over 30 years of research, and who has authored Above Top Secret: The Worldwide UFO Cover-up , which became an instant bestseller at hand. 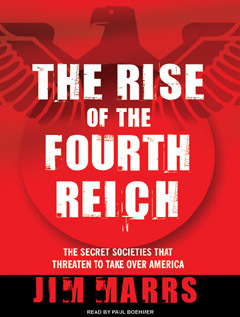 Also showcased in this conference is Peter Levenda, who wrote Unholy Alliance: A History of Nazi Involvement With the Occult and also Richard Hoagland who was a NASA Consultant who authored Dark Mission, which focuses on the secret history of NASA. These are only some of the noteworthy speakers who took part in the Secret Space Program Conference. The above presentation focuses on Richard Dolan’s research of the Secret Space Program. In true methodical fashion, Richard Dolan focuses from beginning to end in his presentation on the inner workings of the covert Secret Space Program in an incredibly incisive fashion. Early in his lecture, Mr. Dolan hones in on the signature statement by Ben Rich, who was the CEO of the Skunkworks Division of Lockheed at one time. Dolan proceeds to break down the provocative statement Ben Rich said at the UCLA School of Engineering regarding humans already having the technology to take ET back home. Other aspects referenced by Mr. Dolan are what some would term ‘classic’ Military Documentation gathered via the Freedom Of Information Act [FOIA] such as the Twining Memo , the Minot AFB UFO Landing Memo , the DIA Memo regarding the Iranian Jet Fighter Incident , the Halt Memo , the DIA Documents pertaining to the Belgian UFO wave  as well as a myriad of other pertinent documentation. With his usual calm and engaging demeanour, Richard Dolan carries out the entire presentation in a method that anyone, be it neophyte or veteran to the subject, could understand. Besides expounding about military documentation, Mr. Dolan covers anonymous information leaks, crash retreivals and the people possibly in control of this covert and powerful world. In addition, he delves into secrecy revolving the programs and the multitude of levels that this particular secrecy encompasses. The 2001 Disclosure Program is also addressed in Richard’s presentation. Mr. Dolan gives his imput on the Karl Wolfe testimony which took place at the National Press Club. There were many powerful statements carried out at the National Press Club in 2001. Karl Wolfe’s was just one of many which took place on that momentous day. “I worked at Cape Canaveral and the Kennedy Space Center from 1958 to 1992. There are many mysteries that have been discovered during the years that we have been exploring the moon, sun and planets. The former CEO of Lockheed Skunk Works, [SR-71, Stealth Fighter, etc.] was visiting the Cape many years ago. I asked him a question. Ben Rich said, ‘Clark, Black Budget money has taken the USA Military at least 50+ years beyond the present understanding of the general public and how far we are technologically advanced.” I said, “Mars, Sir?” He looked at me [and] his head movement said yes. Statements such as the one said by Ben Rich, which wasn’t the only time he spoke in such a tantalizing manner as we have seen, propel the populace’s minds into a whirlwind of much speculation & wonder. In this informative presentation, Richard Dolan also elucidates what the Secret Space Programs could be about. Gravitating from theory to theory, Mr. Dolan posits multiple likely and realistic possibilities for the reticent programs such as profit, the creation of UFO technology, biotech research as well as a handful of other possibilities. Richard at one point also speaks about the fact that the Black Budget Programs have no oversight whatsoever, which other researchers have also noted. Possible funding avenues for these black budget programs are also addressed by Richard Dolan such as the 2.3 trillion dollars which went missing from the Pentagon on 9/11. Lastly, he also postulates what he coined, “The Breakaway Civitilization”, which in theory is a miniscule, nefarious & disproportionately powerful portion of humanity with technological prowess far better than the mainstream world could fathom, pockets deeper than anyone could imagine while also sporting the capability to perhaps get offworld. What could such a far-reaching civilization accomplish? Richard Dolan seeks to answer these questions as well. All in all, the entire presentation was well thought out and easy to follow. The Secret Space Program Presentation by Richard Dolan is a must watch for those interested in the abstruse subject of UFOs. When Richard Dolan’s presentation is taken in conjunction with the presentations carried out by the other speakers, the Secret Space Program conference does an unparalleled job of painting a vast landscape of possibilities that are extremely thought-provoking within the esoteric realm that has become UFOlogy.